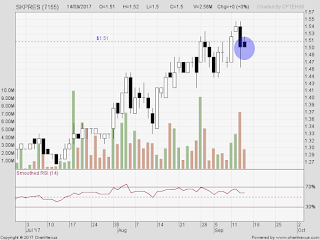 SKPres ... bought on breakout but failed on me. So, this is a small loss trade. Trade # 23 : MMSV ... this is a another good trade. Can't remember the details to write and too many back-log as I took yesterday off. Trade # 24 : Luxchem ... this is short .. day-trade and was fast. Good trade. Trade # 25 : Krono ... greed and taken back Krono but sold before closing due to not good candle. 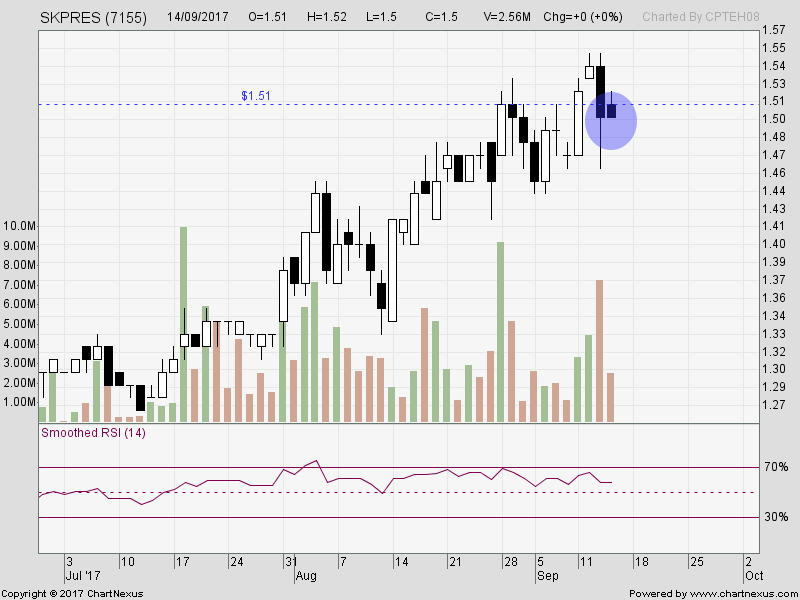 Trade # 26 : TunePro ... sold at RM.18, bought a week ago at RM1.14. As I m writing now, Magni hit RM6.23 ... but saw it too late at RM6.38 ... now RM6.42, hard to catch. Today's: done with VS-wa ...touch-n-go ... first done trade today. Sold 88.5 too early as it hit 92cents, craziness ... I grabbed in opening, too fast.